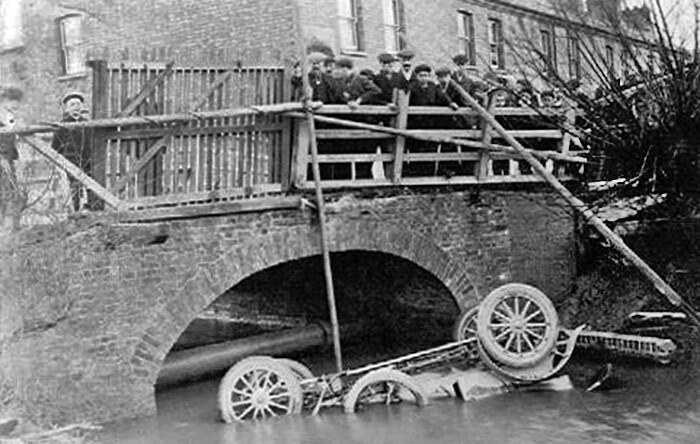 A wonderful opportunist capture from a local photographer in 1910 of the car of North Huntingdonshire MP Locker Lampson who lost control on South Street, Stanground and ended up in the Lode flowing beneath. Mr Lampson was being chauffeured and both gentlemen ended up adrift in the flow before being rescued, uninjured, by locals and moved on to the Stanground vicarage where the vicar provided fresh dry clothes while they waited to continued their journey in a replacement vehicle. 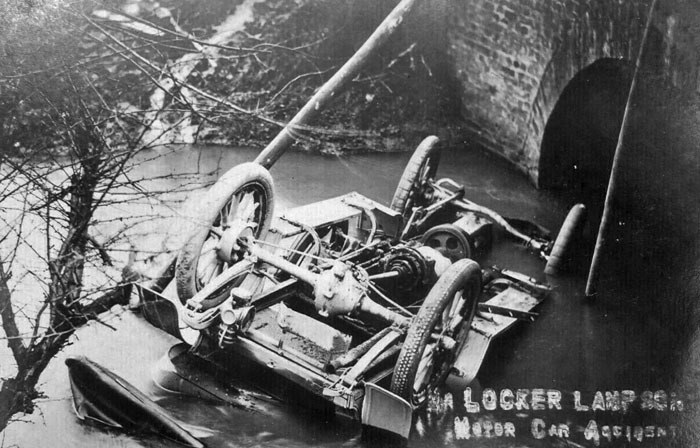 The car remained in the Lode for a couple of days before being winched out with hauling tackle from Barford & Perkins and, despite landing upside down and filling with water, the vehicle was declared solid and roadworthy ! The location today is about 100 metres along South Street from the junction with the Whittlesey Road (Stanground Church end).